New Bollywood Movies.watching the movie is the part of our life. Sometimes when you are free or sitting alone on your home, then Watching Bollywood movies or Hindi Movies is a perfect choice. 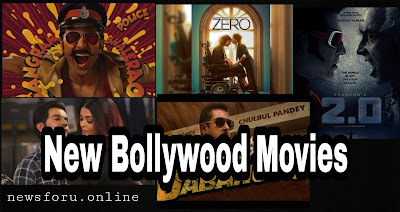 So, in this article, I will suggest you about some New Bollywood Movies. So, If you are a Film lover or movie fan then this is the perfect place where you will find your favorite New Hindi movie. Pick the best movie from the list and Download. This film is based on three friends story. Due to some high electric Bill, the life of those friends takes a magic turn. So, If you are a Shahid Kapoor's fan, then you can watch the movie as well. This film is all about Bauua Singh ( Shahrukh Khan ) who is a Vertically challenged person. 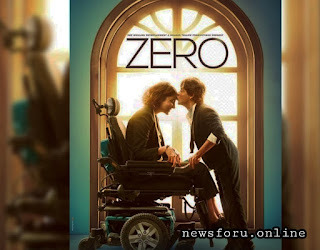 In this movie, Anushka Sharma played a scientist's character. It's a complete Bollywood Masala movie. So, if you are an SRK fan or love to watch some Bollywood love story's then you must watch this movie. This film is about 18 the century, A man Khudabaksh was completely against the British East India company, he fought to liberate his country. But the British not knowing how to defeat him, so they try to get help from a 'Thug' Firangi Mallah. An American journalist travels to India to cover the Indian Weddings. Rajkumar Rao is one of the talented actors of the Bollywood film industry. You also check out this movie. Star - Akshay Kumar , Mouni Roy , Kunal Kapoor . The story of a man who wanted to make India win it's first Olympic Gold medal as a free country. This is a complete love story deals with the issues like the difference between castes and honor killing. FANNEY khan is a struggling singer who wants to make his daughter make a big name in the music industry. The film story is all about today's time in Kashmir where Laila - Majnu face the problems relevant to the youth of today. Stats - Arjun Kapoor , Parineeti chopra , Atul Sharma . Director - Gaurav K. chawla .